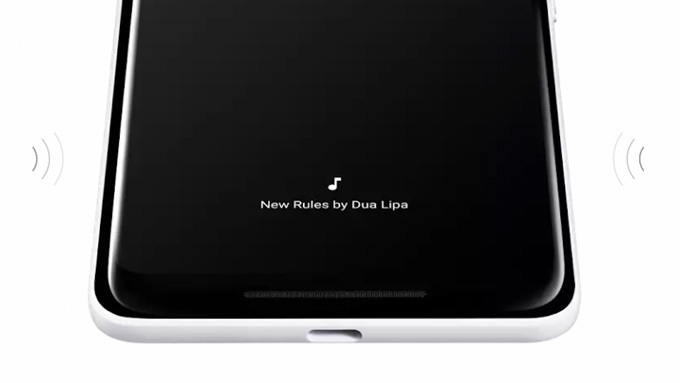 Now Playing is a feature that Google debuted on the Pixel 2 and Pixel 2 XL. It allows the phone to constantly listen for music and display the song info on the Ambient display, lock screen, and in the notifications. This is a super handy feature for those times you hear a song and don’t have time to use Shazam or ask Google Assistant. However, there’s one problem: you can’t see a history of all the identified songs. That should be changing soon. The feature doesn’t appear to be enabled, at least according to XDA Recognized Developer Quinny899 who installed the APK on his Google Pixel 2 XL running Android 8.1 Oreo. That’s because it’s currently disabled by default and controlled by a phenotype flag titled ambient_music_enable_history. Once this new feature rolls out, there will likely be a new button in the notification for a recognized song to view the history. We believe this is the case as the code that checks against this phenotype flag includes a “NotificationActionBuilder” method. It always felt like a major oversight not to have a history of Now Playing. Several developers have created apps that can display the song history. We’re glad Google seems to be fixing this problem natively. It should be noted that this APK does not install on Android P DP1 because of an error. According to the logcat message, the package com.google.intelligence.sense is unable to be upgraded as it is a “persistent app.” Hopefully, Google will roll out a fix for users of the Developer Preview. Perhaps once it’s actually installable on the build we’ll be able to see the feature in action.